It’s going to be a big week for the north-east as Aberdeen’s globally renowned energy industry exhibition welcomes the world’s movers and shakers to the oil and gas capital. The event will be peppered with engineers, technical specialists, industry leaders and experts ready to share and debate the latest goings-on in oil and gas. The four action-packed days include breakfast briefings, education opportunities and networking galore. And nestled within the dawn to dusk schedule, there are plenty of job-hunting opportunities. Check out the market. If you fancy a move but aren’t sure where’s next, Offshore Europe is an ideal chance to compare and contrast what other companies have to offer. Visit their stands, collect their marketing material and go to employment-orientated seminars. Check out ‘Oil and Gas Skills: Your Future Today,’ on Friday morning, for example. Do your research. You never know who will turn up as a delegate but you can at least have an in-depth scan of the floor plan to pinpoint your workplace wish list. Do some background reading on the companies you want to approach. Plan how to broach the employment conversation. It’s not a recruitment-focused event so people won’t assume you’re looking for a job. 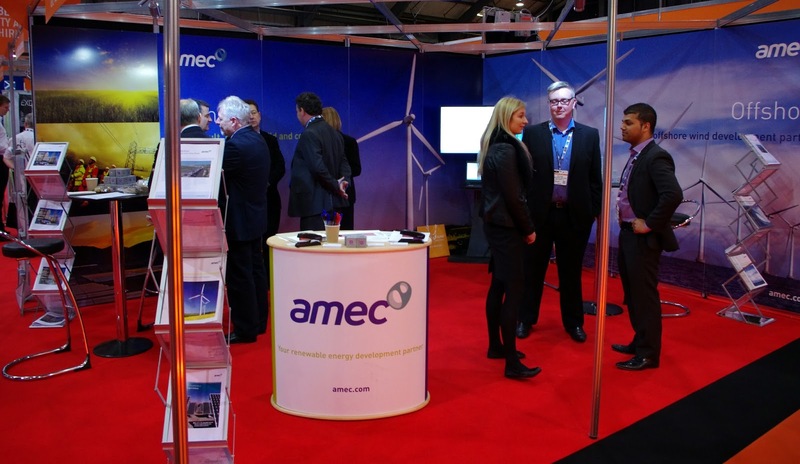 But many companies will come armed with their top recruiters – global engineering and project management consultants AMEC will be doing just that. Plan your approach beforehand to ensure you’re targeting the right people and having the most productive conversations. Connect. Join the conversation on Twitter (@SPE_OE) or LinkedIn. Make an impression, and some connections, before you even get there. Network as much as possible. Sign up for all the business breakfasts and drinks receptions you can. Try to get a list of the attendees the day before so you have time to do a bit of research on who you want to be introduced to. Introduce yourself. If you’re at a seminar without a colleague, say hello to the person next to you. You never know who they might work for, be related to or be best friends with. This random person could be the key to your career move. Talk to the media people. Don’t think that just because someone doesn’t work in oil and gas, they can’t help you. If you come upon a journalist or PR who knows a bit about the industry, pick their brains. It’s a quick way to find out who’s hiring, growing or building new premises. Sell yourself – within reason. Demonstrate how well your company or project is doing, particularly any areas directly related to you. Make a lasting memory so you’re first to come to mind for future vacancies. Ask questions. If you’re at a business breakfast or seminar, stick your hand up and put forward your burning question. It’s a great way to stand out. Finally, it might sound like common sense but don’t bad mouth your current employer. You could be talking to your next manager so hearing you talk less than favourably about your current boss isn’t the most attractive trait. No matter how relaxed the situation – and how many glasses of fizz you’ve had at a champagne reception – keep your professional head on. You never know who you might encounter in future. Click here to find out more about visiting Offshore Europe. This article interested me, there is a lot of interesting information and even advise you to read this article. thank you so much for all the great information, I'll be glad to pass it on to my family and friends. Thank you very much for all the great tips :) I will note them down. Just remember your stab at whack your boss this business zoxy club, should you decide to end it y10 com, is not a failure but moto a training ground earn to die 2. You will take with you what has worked and learned from what has not in order to make the next business idea a success! Wow!..Amazing.. I have no words to describe it . twizl jogos the objective is to tumble a rectangular block through each stage and deposit it into the square hole at the end. - zoxy 2 a safe place to play the very best free games! Free online games, puzzle games, girls games, car games, dress up games and more - games y10 is the largest game resources. Here you can find all free Y88 games Y8 8 Games, choice the game you like and play right now. Per anni vi siete affidati ad Ethernet per la condivisione di informazioni Fofy 2, Fofy Games, Free Fofy 2 Games Online Friv 2021, Friv4school 2021, Friv Games Juegos Fofy - Juegos Gratis en Fofy Di nuovo, ringrazio il Parlamento perché condivide la prospettiva di una Juegos Friv 2020, Juegos Gratis, FRIV 2020 Juegos Twizl Friv, Juegos Twizl, Juegos Friv Jogos Fofy - Jogos Online Grátis no Fofy nuova politica per i consumatori basata sul mercato Twizl - Jogue Jogos Twizl Grátis Twizl Friv - Free Online Twizl Games Twizy Games - Free Online Games ous Grazie per condividere con noi YooB, Juegos Gratis, Juegos YooB i tuoi piani e mostrare paso dopo passo il progetto.. I have visited your web blog first time and i want to appreciate you on your valuable job. You web blog about Joomla is very interesting. It is a very amazing. Keep it up. Assignment Help offers the Allassignmenthelp Reviews by skilled assignment writers who cater quality writing help services without missing the deadlines. IrelandAssignmentHelp.com is providing assignment support from more than 10 years and our experts of assignment writing are highly qualified from top universities of ireland so, students of top university can get best Dissertation help dublin support from our reliable and cheapest assignment writers to score high in academics in limited time. Last day i was searching blog for New year Holidays then i searched this New year Blessing quotes 2019. amazing blog related to New year so you must check this out . Assignment Help this is the firm that offer online service with satisfaction. Travelling offshore?...you might find this useful. Looking for a North Sea challenge?